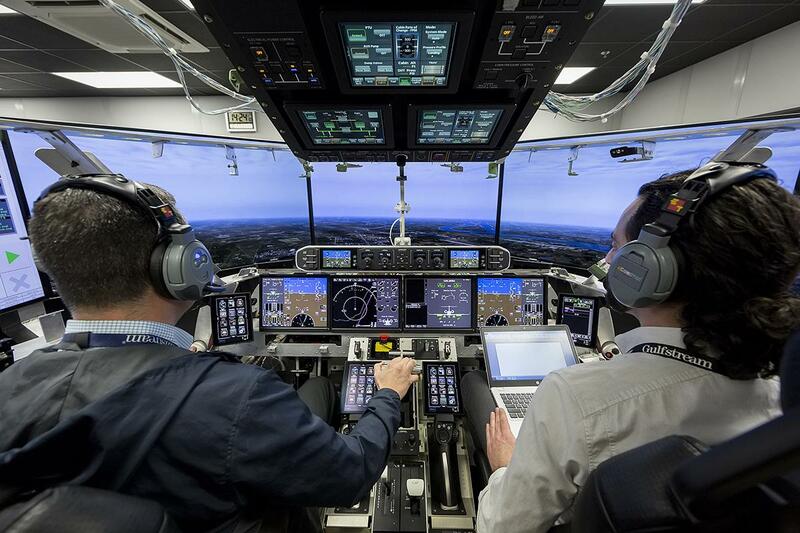 Simulated flight reflects aircraft program’s steady progression. Gulfstream Aerospace Corp. today announced that the Gulfstream G600 iron bird recently completed its “first flight,” demonstrating the company’s continued commitment to research and development and the growing maturity of the G600 aircraft program. A spatially correct, dimensionally accurate structure that includes a flight deck, the iron bird allows engineers to test the flight control and mechanical systems, including landing gear, brakes and hydraulics in a ground-based lab. During the 30-minute flight, the G600 iron bird simulated taxi, takeoff and landing as well as maneuvers and transitions at altitude and airspeed. The G600 is capable of traveling 6,200 nautical miles/11,482 kilometers at Mach 0.85 or 4,800 nm/8,890 km at Mach 0.90. Its maximum operating speed is Mach 0.925, the same speed as Gulfstream’s G650 and G650ER. The aircraft features the all-new Symmetry Flight Deck™, with active control sidesticks, integrated touchscreen controllers, a next-generation enhanced vision system and Honeywell Primus Epic avionics. Similar to the G650 and G650ER, the G600 offers a full three-axis digital fly-by-wire system with benefits that include flight-envelope protection, stability augmentation, increased redundancy and reduced maintenance. The first G600 flight-test aircraft and structural test article are in production. The aircraft is scheduled to enter service in 2019.